As much as brides would love to plan their wedding all on their own, it is a mighty stressful, time-consuming and even painful task. If you're a laid back kind of bride who'd rather entrust her wedding to the experts, you're in the right place. 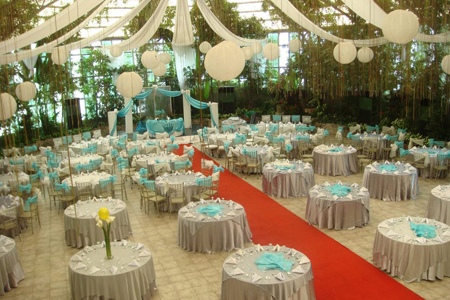 Monina E Events and Marketing makes wedding preparations painless, pleasant and wrinkle-free. Monette Evangelista, owner of Monina E Events and Marketing, started in the wedding industry as a bridal gown designer. As years passed by, she noticed that more and more brides have been asking her for help in looking for wedding suppliers they can trust. At a time when wedding planners did not yet exist in the Philippines, Monette and her team decided to take the risk and become pioneers in wedding and events planning in the Philippines. They will help brides put together unforgettable weddings. Starting from weddings of family and friends, Monette and her team learned the basics in taking care of clients and the necessary services they can provide for weddings. Today, Monina E Events and Marketing have organized thousands of weddings since they started 18 years ago. Their expertise in wedding and events management have led them to travel around the Philippines and abroad including the United States and Singapore. More than Filipino and OFW clients, their services have also reached weddings and events of different nationalities. Wedding and management expertise does not happen overnight. 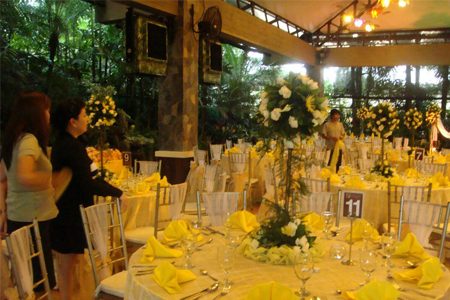 With 18 years of experience in their pocket, Monina E can assure couples of a beautiful and hassle-free wedding. And with their continuous success in the wedding industry, they have plans to expand their services and provide a venue for weddings right in Quezon City. 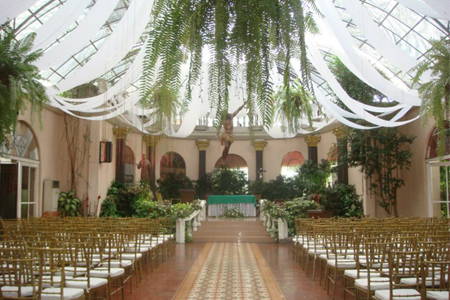 It will be a covered garden wedding venue that will open in April 2013. Aside from being a pioneer wedding planner in the industry, Monina E also takes pride in the fact that they provide services that are way beyond what usual event planners provide. Being a fairly established company allows Monina E to provide professional and corporate-like services in wedding planning. As soon as you book their services, you will receive a call within 24 hours for an update from their team. Another perk of being a Monina E bride and groom is the special treatment you'll get especially if you're a forgetful one. Because the team gives importance to constant communication, you will get constant text messages, calls and emails from them to remind you or update you on your wedding planning. You will also get wedding tools to guide you in formulating timelines, creating inspiration boards, choosing color schemes, type of music, and so on. Basically, Monina E will help you decide on what your wedding will sound, smell and feel like on your wedding day. Is it stressing you to assign wedding tasks to family and friends? Hire Monina E and they will also be in charge of communicating with your guests either for RSVPs or in guiding them for their roles in your wedding. You will also get professional help for hosting, especially when friends and family will be doing it for you. And even if you don't hire Monina E for their wedding planning services (because the date has already been taken), they will still provide you some advice in your wedding planning. Authenticity. Make sure that before you pay or sign a contract, validate the existence of the business first. Especially today when suppliers are booked informally via Facebook, email or chat, it is best to research first before you dive in. The best thing to do is to look at forums and social networking sites for comments on the supplier. Hire Early. Wedding planners will not be able to provide you their full service if you hire them close to your wedding date. They will help you conceptualize the entirety of the wedding, including finding suppliers who can execute what you have in mind. If you've already booked your suppliers before hiring them, they have no other choice but to make do with what you already have. It's Okay to be a Bridezilla. Bridezillas have earned a negative name for brides in the wedding industry. But as Monette of Monina E puts it, "We used to think of bridezillas as a challenge. But today, with so much experience in wedding planning, we've realized that it's natural for brides to be stressed and anxious when it comes to their wedding. Through them, we've learned how to provide the right services to keep them at ease and happy throughout the planning stages." If you can't take the stress and pains of wedding planning but still want a dream wedding to remember, hire Monina E Events and Marketing today!